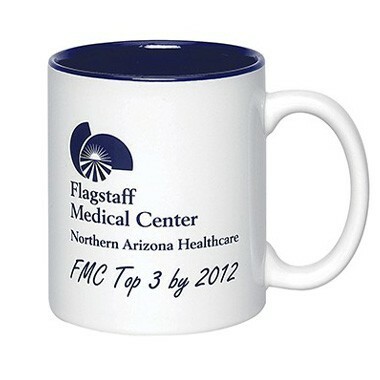 Full Color Sublimated C-Shape Ceramic Mug - 11oz - (2Tone). This product is full color sublimated in USA to ensure a fast service and keep American high quality standard. It is Dishwasher safe but no top rack, no commercial dishwasher. Hand wash recommended. Microwavable. Measurement:	3.75" x 3.25" x 3.25"